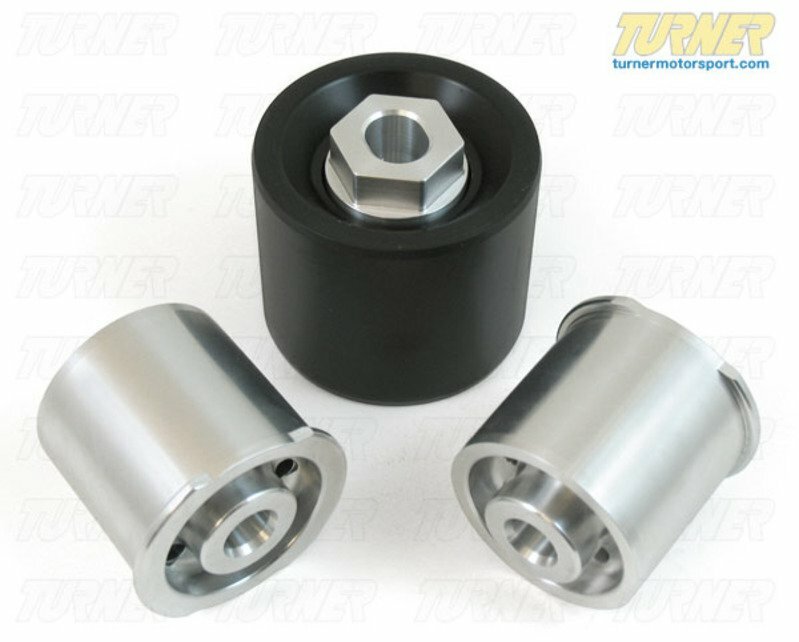 These Turner Motorsport solid differential mounts are for the E90/E92 (NON M) 3 series and E82 1 series, and are designed around many racing regulations. 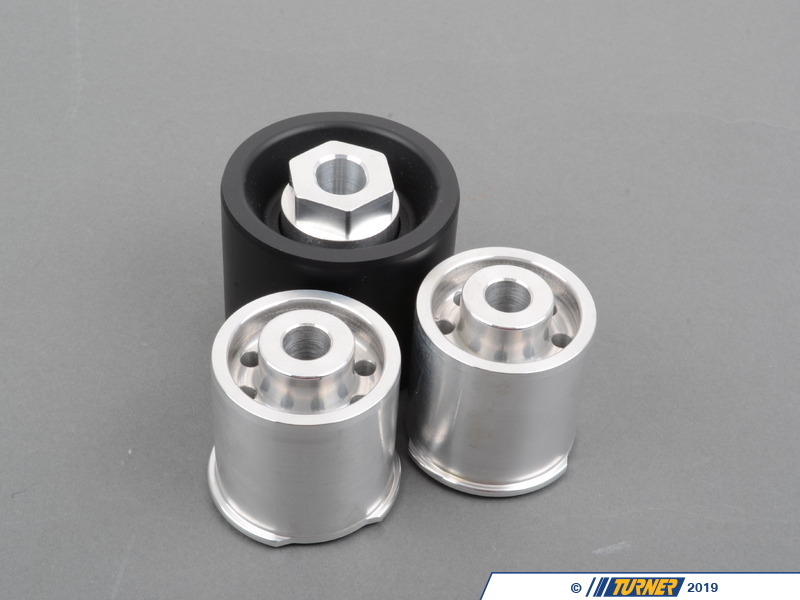 Replacing your differentials rubber mounts with this kit will result in a snappier feel when cornering and better suspension performance. 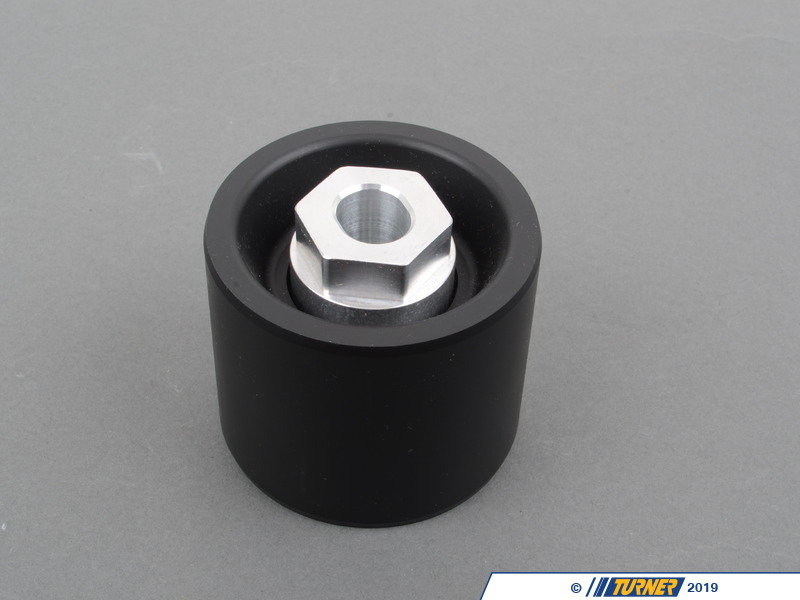 You save money by never having to replace the stock rubber mounts that fail due to old age and fatigue. 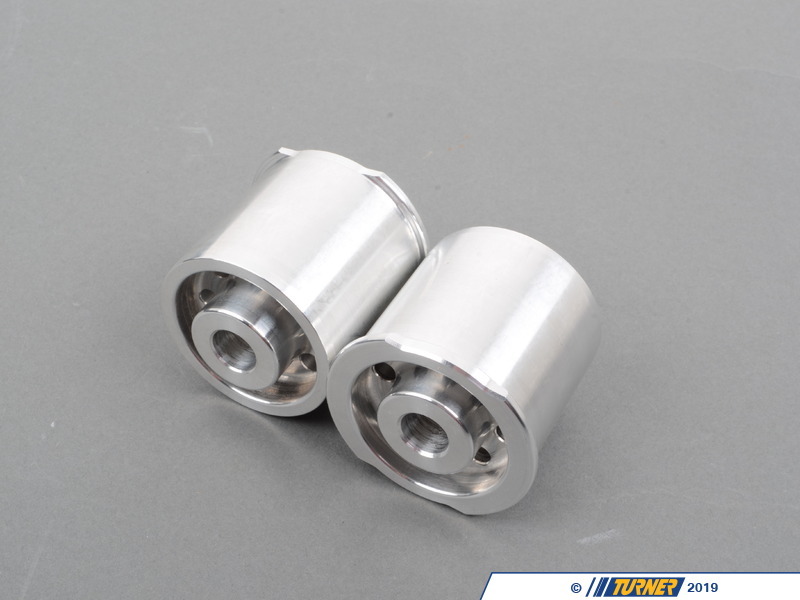 These bushings are CNC machined in the USA and made with high-grade materials.